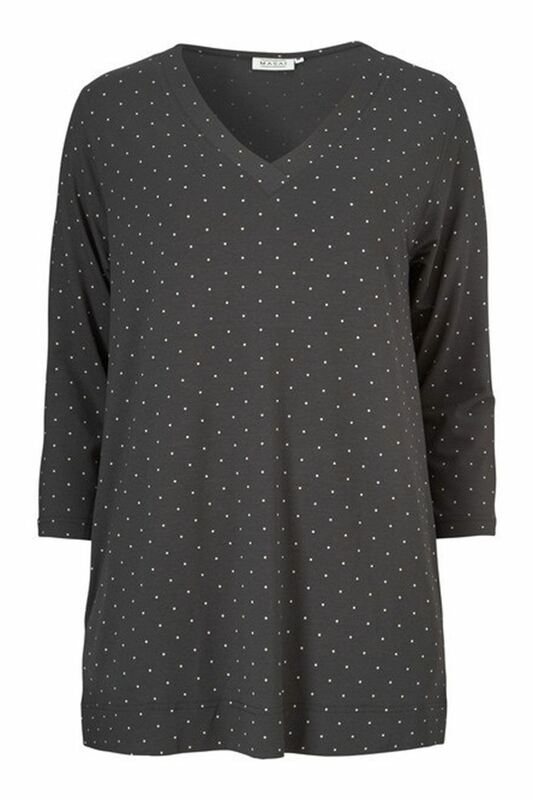 Pretty A shaped top with an all over dot print. Pretty A shaped top with an all over dot print. Three quarter sleeves and V neckline. Very useful slit pockets on either side.